Expertly run by the Fender family this hotel has long been established as one of Austria's finest. 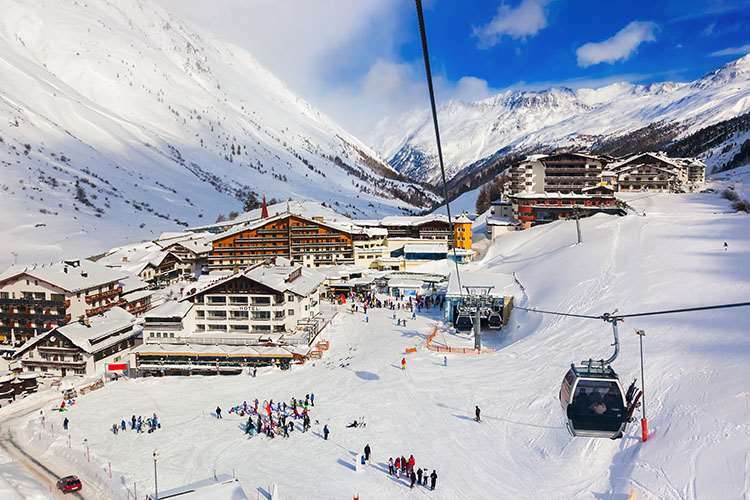 The Hochfirst is situated a short walk from the Festkogl gondola, with skiing back to the hotel. The spa area offers an impressive array of leisure facilities. However the hotel still retains the charm and character of a grand old hotel and has a deserved reputation for excellent cuisine. 90 bedrooms. Rooms for 2 people on half board sharing a north facing room with Austrian twin beds private bath and WC. South west facing rooms are available at a supplement as well as single rooms with private shower. Also available at a supplement are north facing quad rooms that sleep up to 4 consisting of one room with Austrian twin beds and double sofa bed (max. 2 adults and 2 children). All bedrooms have private bath or shower, WC, hairdryer, cable TV and balcony. It has a deserved reputation for excellent cuisine. There is also a relaxing lounge with views onto the mountains, a stunning dining room and bar areas with comfortable seating and stunning views.